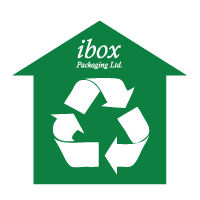 At ibox Packaging we work hard to maintain sustainable practices throughout our whole organization. We are always looking for better ways to help conserve our planet. The following are programs we implement at our company to have an environmentally friendly impact in the way we do business. To learn more about the programs please click below. Recycled content vs. 100% Recyclable -- where does ibox fit in? 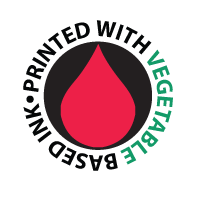 We make sure that our boxes are being printed with vegetable based inks. Click more to learn about the inks. Learn more about what we do in house to ensure that were doing our part! Talk to us today about we can help your business cut down on costs using environmentally packaging. Not only will your products POP out, we can design displays to be environmentally sustainable. Ask us how! Using recycled and recyclable materials in your retail packaging not only cuts costs but is better for the environment. Cardboard boxes are made from recycled content, recyclable, and reusable! 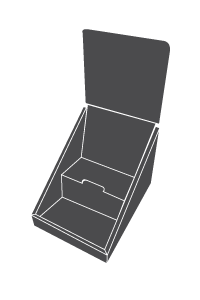 Ask about our stock and custom boxes. 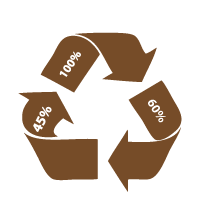 Many shipping supplies can be sourced from sustainable resources. Ask us about our environmentally friendly supplies.